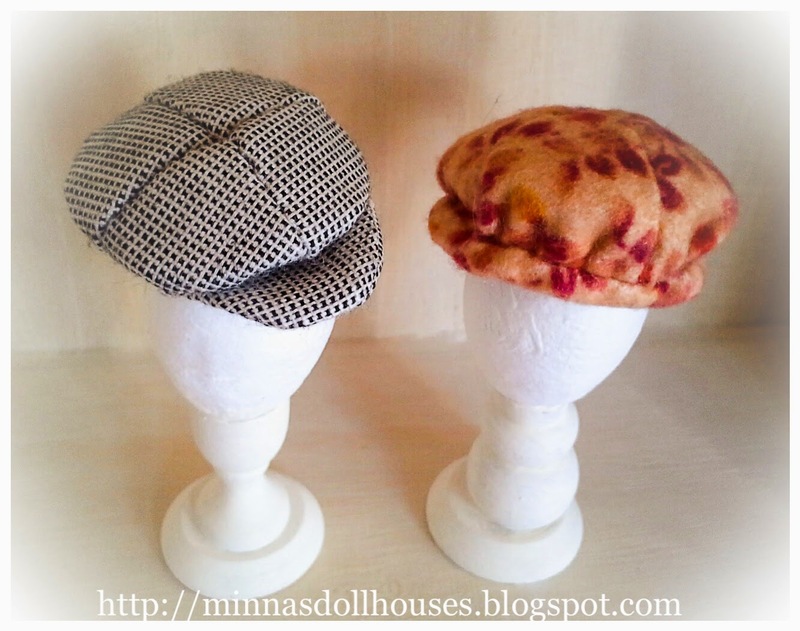 Minna's Miniatures: More hats! - Lisää hattuja! More hats! - Lisää hattuja! I have made more hats! This time a cap for a man, and another for a lady. Oh Mina are so cute!! !